I’m not sure how many of you saw it, but in the World Cup group match between Uruguay and Italy, the Uruguay striker Luis Suarez bit the Italian defender Giorgio Chiellini. This is the third time that this undoubtedly talented player has bitten another player! He did it in 2010 whilst playing for Ajax in the Netherlands when he bit PSV Eindhoven’s Otman Bakkal; and in 2013 he bit Branislav Ivanovic of Chelsea whilst playing for his current team, Liverpool. For his bite in 2010 be served a 7-match ban, and in 2013 he served a 10-match ban. FIFA acted very quickly over this incident, and Suarez has been given a 4-month ban from all involvement in football, including training with any team or even attending a football match. He has also been given a 9-match ban from playing for Uruguay, and his 4-month ban will mean he will miss the first ten-or-so matches of the club season. Luis Suarez has been given a four month ban for biting Italian defender Giorgio Chiellini. My question is, is this ban sufficient? In my opinion the answer is no, it is not. If this were Suarez’s first biting offence then I would consider the punishment about right. Even if it were his second offence, I would think the ban was on the lenient side. But, as this is his third biting offence, I really feel FIFA’s ban is not sufficient. I think Suarez should serve a season ban at the very least; as the new season has not yet started it would isolate him for the best part of 13-14 months. I also think that FIFA should have insisted that Suarez undergoes some kind of psychological assessment and therapy, it is not normal for a 27-year old to bite people. It is the kind of behaviour you might expect from a 5-year old, but not a grown adult. It also seems that Liverpool are going to off-load this troublesome striker, despite his phenomenal form this last season where he was Liverpool’s and the English Premier League’s top striker and won several footballing awards. Let me remind you, Suarez also served an 8-match ban in the 2011-12 for racially abusing Manchester United’s Patrice Evra using the “n-word”. At the moment, Barcelona have said they wish to buy him, and I would imagine the Liverpool manager Brendan Rogers gave Suarez a final warning after his last biting incident, so I fully expect that he won’t be playing in the English Premiership come next season. 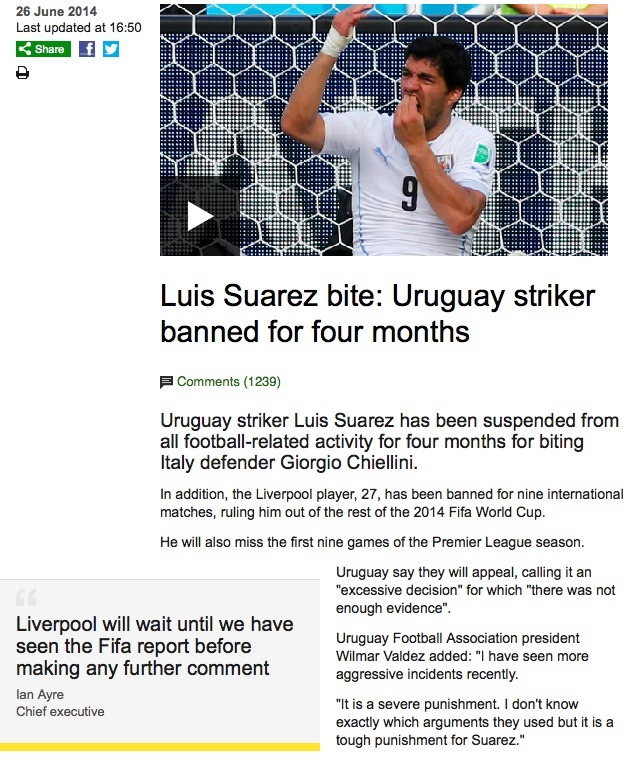 Whether Suarez ever will be able to change his ways remains to be seen. I don’t think he’ll be able to do it without some kind of therapy, but surely he must realise that he is within a hair’s breadth of ruining his career if he keeps up this unacceptable behaviour. What do you think? Is the FIFA ban too lenient, or about right, or an over-reaction? Last week, I was going to post this wonderful song “You’ve Got a Friend” by Carole King, but for no particular reason decided on Thursday to switch it with “Nothing Compares 2 U”. Ironic then that I should wake up on Friday to hear of the sad death of her one-time husband and songwriting partner Gerry Goffin. Together they wrote some well-known songs like “The Loco-Motion”, “Up On The Roof”, “Pleasant Valley Sunday” and “(You Make Me Feel) Like A Natural Woman”. For a complete list of songs they wrote together, see this list here. By 1968, King and Goffin were divorced, and this led to King starting her own solo singer-songwriter career. 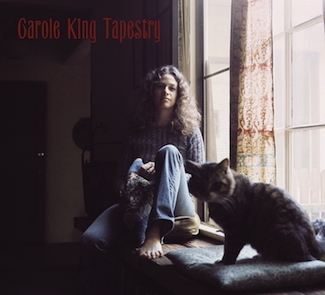 In 1971, she released her 2nd solo album, “Tapestry”, which has gone on to become one of the best-selling albums of all time. The album is replete with fantastic songs, and if you haven’t heard this album I highly recommend it. “You’ve Got a Friend” is taken from King’s hugely successful album “Tapestry”, released in 1971. King never released her version of “You’ve Got a Friend” as a single, but James Taylor recorded it at pretty much the same time as she was recording “Tapestry” (they actually worked on their respective albums together), and Taylor’s version got to number 1 in the US and number 4 in the Disunited Kingdom. Which is your favourite Carole King or King/Goffin song? What does a 1-sigma, a 3-sigma or a 5-sigma detection mean? Cross correlating BICEP2 against 100 GHz maps from the BICEP1 experiment, the excess signal is confirmed with significance and its spectral index is found to be consistent with that of the CMB, disfavoring dust at . What does a phrase like “with significance” actually mean? It is the significance with which scientists believe a result to be real as opposed to a random fluctuation in the background signal (the noise). In order to fully understand why scientists quote results to a particular , and what it means in detail, the first step is to understand something called the normal distribution. You can read more about the BICEP2 result, and how its conclusions were withdrawn, in my book “The Cosmic Microwave Background – How it Changed Our Understanding of the Universe”. Follow this link for more details. My book “The Cosmic Microwave Background – how it changed our understanding of the Universe” is published by Springer. Read more about it by following this link. If you have a large number of independent measurements, then their distribution will tend towards something called the normal distribution. This distribution looks like the following, where on the x-axis we have some variable (such as the the background noise in a signal), and the y-axis represents the frequency with which that variable occurs. 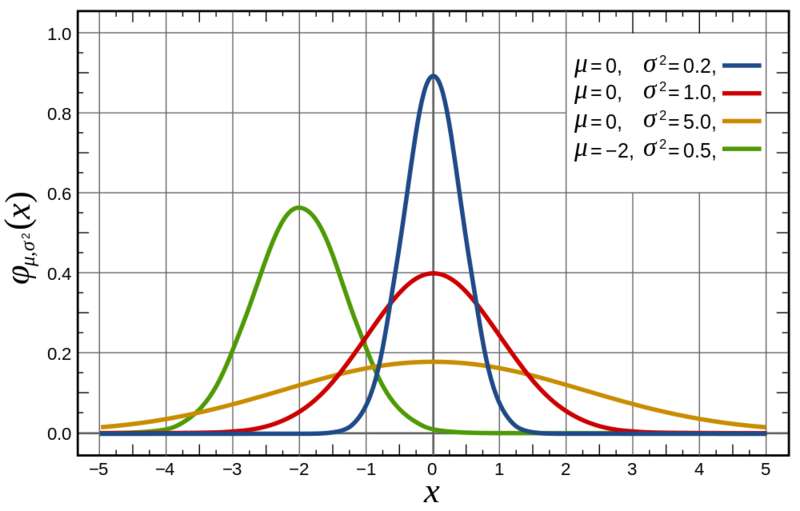 Normal distributions are usually normalised so that the total probability (the area under the curve) is unity (1), as the sum of all probabilities is always equal to one. The curve is often referred to as a bell curve for obvious reasons. The normal distribution looks like a “bell curve”. In this plot, the x-axis represents the variable being measured, the y-axis is the frequency with which that variable occurs. where is the variable, is the mean of the distribution, and is the standard deviation of the distribution. Usually in statistics we have a mean, a median and a mode, but for a normal distribution they are all equal. The standard deviation is related to the width of the curve. For example, in the figure below we show four normal distributions. The blue, red and orange curves all have the same mean (zero), but different standard deviations, which is related to the curve’s width (the diagram actually quotes the variance, which is just the square of the standard deviation). The green curve has a mean of -2 not 0, and it has a different standard deviation to the other three. Four different normal distributions. The blue, red and orange curves have the same mean (zero) but different standard deviations. The green curve has a mean of -2 and a different standard deviation from the other three. As can be seen from these diagrams, if the total probability under each curve is unity, then the probability of a value being measured depends on what the mean is and what the standard deviation is. The further a measurement is from the mean (i.e. 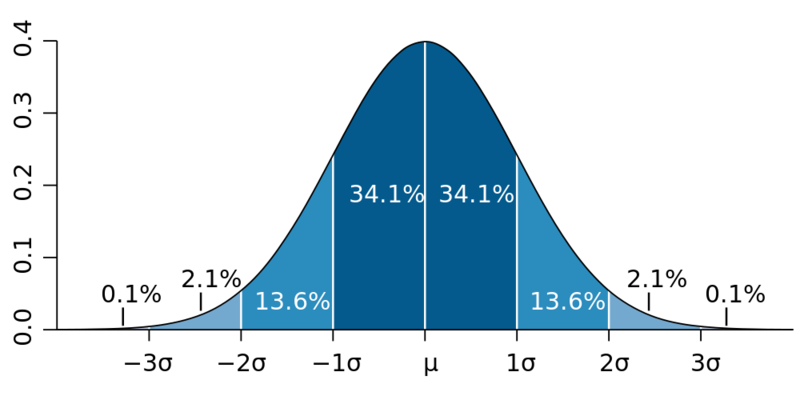 towards either end of the bell curve), the less and less likely it is of being measured at random, or to put it another way the less and less likely the signal is of being due to a fluctuation in the background. So what does a 3-sigma result mean? We can work out the probability of a particular measurement once we know the mean and the standard deviation of a normal distribution. There are tables to do this, they give the area under the normal distribution function (which remember is related to probability) in terms of a parameter usually written as . Here is an example of such a table. How do we use this table? The first thing to notice is that the normal distribution is symmetrical about the mean, so the probability from up to the value of the mean is 0.5. Suppose we have a normal distribution with a mean of and a standard deviation of . How would we use this table to calculate the probability of a value greater or equal to e.g. being real? (that is, any value greater and including 3). where the modulus in the numerator is so that is always positive. With our example, . So, finding in the table gives the cumulative probability of the value being between and being . So the probability of a value of from . If we are trying to work out the probability of measuring a value of then we need to remember that the total probability is 1, so the probability of the value of or . Obviously, with our chosen value of , a value of is 2-sigma away from the mean ( ), so a result quoted as a result (or confidence) means that it has a of being false, and a of being real. What would we get if we had chosen a value of 1-sigma from the mean, or in other words a value of ? In this case, , and so using our table we find . So the probability of being equal to or greater than 2.5 is or . As you can see, a chance of a result being real (or a chance of a result being false) is not very good, which is why a detection of a signal is not usually considered good enough to be believed. What would we get if we had chosen a value of 3-sigma from the mean, or in other words a value of ? In this case, , and so using our table we find , so the probability of obtaining a value of equal to or greater than 3.5 is or . So, when we say that a detection is made at the 3-sigma level, what we are saying is that it is certain, or that it has just a probability of being false. 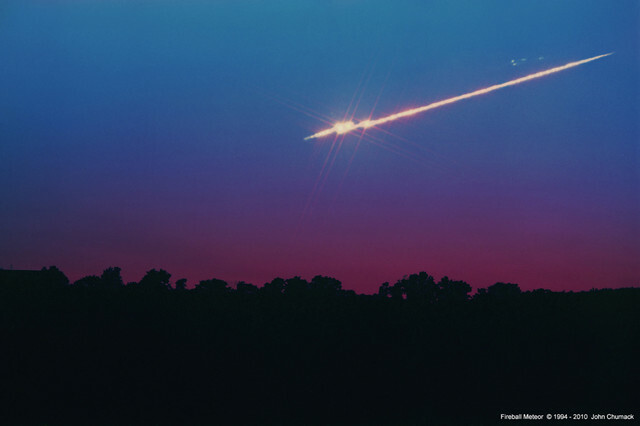 Usually in science, a 3-sigma detection is taken as being the minimum to be believed, and quite often 5-sigma is chosen, which is essentially probability of the result being false. The figure below summarises this graphically. The probabilities of a value lying within 1-sigma, 2-sigma and 3-sigma of the mean for a normal distribution. To translate between this figure and what we have calculated above, just note that the percentages to the left of the mean all add up to , so if we wanted to work out the chance of a result being greater than above the mean we would work out , just as we had above. For we have (we got before, the difference is due to rounding). And, here is a table summarising the significances, to two decimal places. So, going back to the BICEP2 result, they state in their paper that their signal is in excess of the background (noise) signal by , which would mean that their signal is real with a certainty. But, of course, although there seems to be little doubt that their signal is real, what is still undecided and hotly disputed is whether the signal is nearly entirely due to the CMB or could be mainly due to foreground Galactic dust. We shall have to wait to find out the answer to that question! In February 2015 the BICEP2 team withdrew their claim for having discovered primordial B-mode polarisation, and accepted that their detection was of Galactic dust. You can read far more about this fascinating story in my book “The Cosmic Microwave Background – How it Changed Our Understanding of the Universe”. My book “The Cosmic Microwave Background – how it changed our understanding of the Universe” is published by Springer. Follow this link for more details. At number 8 in Rolling Stone Magazine’s 10 best Bob Dylan songs is “Mr. Tambourine Man”, which was on his 1965 album “Bringing It All Back Home”. The song itself was actually written in 1964, and when later recorded by The Byrds, it became a massive hit reaching number 1 in both the US and the Disunited Kingdom. It also brought Bob Dylan’s music to a new audience, once people found out that he was the original composer; and led to the birth of so-called “folk rock”, with The Byrds’ version of the song being an electric version of Dylan’s original acoustic version. It may also have helped influence Dylan to “go electric” himself, although it is also fair to say he was moving in that direction anyway, even before The Byrds’ version of his song. 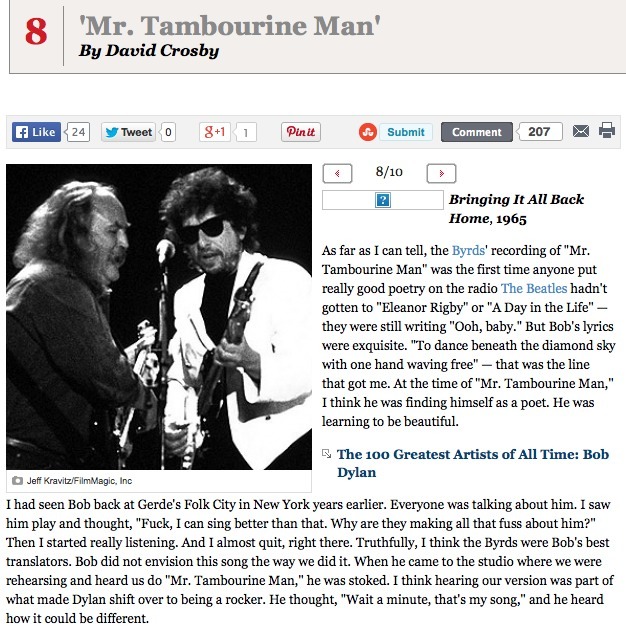 At number 8 in Rolling Stone Magazine’s 10 greatest Bob Dylan songs is “Mr. Tambourine Man”. The comments accompanying the song are written by David Crosby of The Byrds. I first heard this song when I was about 15 or 16, and one of the things which struck me most forcibly was the complex internal rhyming; something which reminded me of much of the Welsh poetry I had read, particularly poetry written in cynghanedd (which I explain here). The song is obviously about drugs, and the surrealistic imagery in this song became a hallmark of Dylan’s songwriting during this 1964-66 period of his career. This song is one of my favourite Dylan songs, and is on one of my favourite albums of his. I highly recommend listening to “Brining It All Back Home”, it is one of the great albums of the 1960s, and has been referred to as one of the most influential albums of its era. There is a great variety of songs on “Brining It All Back Home”, from the “early-rap” “Subterranean Homesick Blues” to the apocalyptic “It’s Alright Ma (I’m Only Bleeding)” to the beautifully cutting “It’s All Over Now, Baby Blue”. For once, I have managed to find a wonderful version of this song, so difficult to do with most of Dylan’s songs which get removed from YouTube. This version is from the Newport Folk Festival in 1964, many months before the song was released in its recorded version. Enjoy! Is the BICEP2 result correct? I blogged back in March about the announcement by a team of cosmologists that they had discovered evidence for gravitational waves in the Cosmic Microwave Background (CMB). The BICEP2 experiment, which is based at the South Pole, claimed to have detected the so-called “B-mode polarisation” in the CMB, and from the strength of the signal they argued that it was the best evidence yet of both gravitational waves in the very early Universe, and of the theory of Cosmic Inflation. 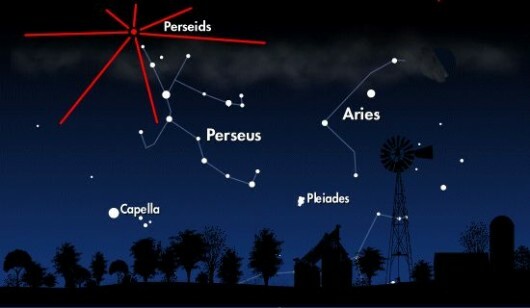 However, since that announcement there has been considerable controversy in the cosmology community as to whether their result is correct or not. I have re-blogged several other people’s blogs on this controversy, for example Peter Coles’ blog here and Matt Strassler here and here. 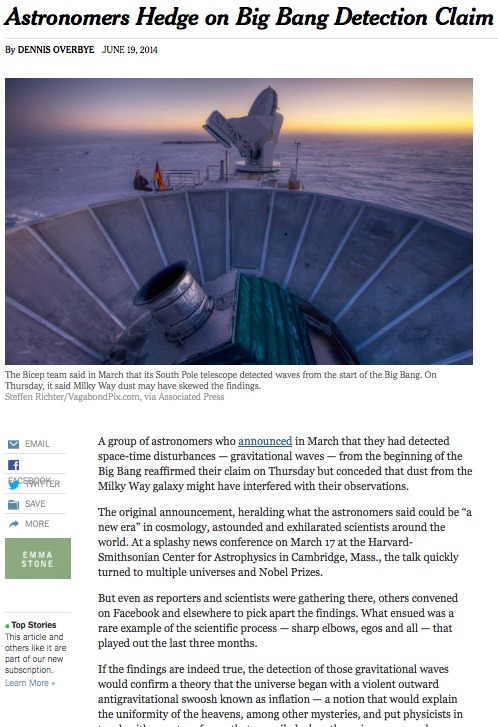 As Peter and Matt’s blogs indicated, this controversy has been swirling around in the astronomical community for the last several months; but last Thursday (the 19th of June) it made it into the New York Times. There now seems to be considerable doubt in the cosmological community about the BICEP2 result which was announced in March. The main concern amongst the skeptics is that the BICEP2 team did not correctly subtract the effects of dust in our own Galaxy from their signal. 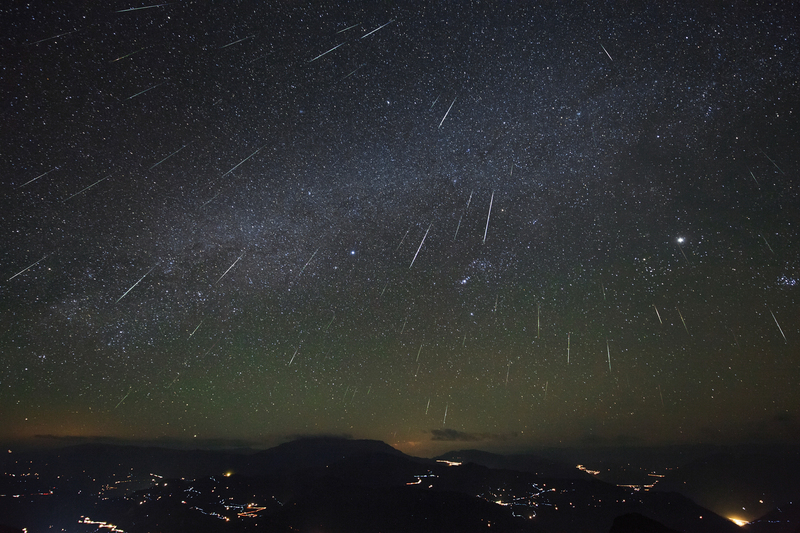 Our Milky Way has a lot of dust in it, it is this dust which causes the dark clouds in the band of the Milky Way which are familiar to anyone who has looked at the Milky Way in any detail, even with the naked eye. Most of the dust is in the plane of the disk, but some is above and below the plane in what we refer to as “high Galactic latitudes”. The BICEP2 team chose their patch of sky to be well below the plane of the Milky Way to try to minimise the effects of dust. However, it may be that the amount of dust and its degree of polarisation where BICEP2 made their observations is greater than the BICEP2 team thought. If this is the case, then much of the polarised signal that BICEP2 measured may not be due to primordial gravitational waves, but instead may be dominated by this foreground contamination. As the New York Times story states, the BICEP2 team acknowledge that the foreground contamination may be greater than they assumed, but they are sticking to their claim that it is still small compared to the signal they detected. We should know the answer to this burning issue within the next 6 to 12 months. The Planck satellite has done a detailed all-sky map of the strength of the polarised emission from dust in our Milky Way, far more detailed than any data currently available, and when these maps are released it should allow astronomers to correctly determine how much of BICEP2’s signal is due to foreground contamination. Planck will also do this at several different frequencies, and as Galactic dust is much warmer than the CMB the ratio of its signal at different frequencies will be different to that of the CMB, allowing for much better separation of the two effects. So far, I think it is fair to say, most people in the astronomical and cosmological communities are treating the BICEP2 result with a good deal of caution, and that caution can only be allayed by further analysis and measurements. If you wish to read more about the BICEP2 results and the surrounding controversy, an excellent place to start is Peter Coles’ blog here. On Saturday (21st of June), Wales came within three minutes of a remarkable first ever win over South Africa on South African soil. With the final whistle looming, Wales were leading South Africa by 30 points to 24; but one thing Wales have learnt about Southern Hemisphere teams is that they refuse to accept that they are beaten until the final whistle. In the dying moments of this game, in which Wales had never been behind, South Africa dramatically were awarded a penalty try when Wales’ full-back Liam Williams was judged to have illegally prevented South Africa wing Cornal Hendricks from scoring. It led to South Africa winning the game by the smallest of margins, clinching the match by 31 to 30 points. Wales lost to South Africa in the dying moments of the 2nd Test with SA being awarded a penalty try to clinch the game by one point, 31-30. 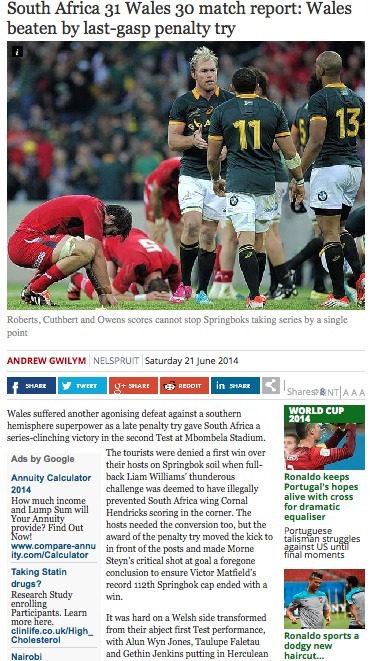 After the poor performance in the 1st Test, this match was a dramatic turn around in Wales’ fortunes. As my blog on Saturday suggested, I did not hold out much hope for anything but another heavy defeat. How wrong I was! Again, like for the 1st Test, I was in Lusaka in Zambia, on the last day of my visit there. After following the first 20 or so minutes on Twitter I decided to see if I could listen to the Radio Cymru live commentary using the mobile phone network, and much to my surprise it worked! So, I was able to follow all but the first 20 minutes of this dramatic Test live, thanks to the Radio Cymru commentary. What a lovely surprise this was, and it meant that I really was able to be engaged in this dramatic match at it unfolded. From everything I’ve read since getting back, the Wales team were as good in every department of play as they had been poor in the 1st Test. Gatland has said that this defeat is the most painful since he took over coaching Wales in January 2008, and I can believe him. All I can hope is that we learn from this latest agonising defeat, and it strengthens Wales’ resolve to start winning these close games. This is the fifth or sixth time since about 2011 that Wales have been in a position to beat either South Africa or Australia, but each time Wales have not been able to clinch the match. This is where Southern Hemisphere teams excel over Wales; even when we are within a few points in the last few minutes, they always seem to find a way to clinch victory in the dying moments. It is a situation that Wales desperately need to change, we need to start learning to win these close contests otherwise we will forever be also-rans. Wales now have a 5 month break before we take on the three Southern Hemisphere giants in Cardiff in November. Certainly the spirit of the Welsh camp will be more positive going into these Autumn games than had we been wiped off the field in the 2nd Test in the same way in which we were in the 1st Test, but it is imperative for our chances in the 2015 World Cup that we get some wins during these Autumn tests. In the meantime, the Welsh players will have a well earned break after a long season, with many of the Welsh players starting the next season playing their club rugby outside of Wales (particularly in France), another big problem facing Welsh rugby which I will discuss in a future blog.